Hi Kendra … What a coup to have landed an interview with Olivia de Havilland for your book! I am so happy about this I can hardly stand it. Your questions were just excellent, and I’m really looking forward to reading the rest of what she had to say when your book is released. Thanks for another great post … they just keep getting better and better! This is just stunning, I LOVE that she got back to you, just in the nick of time and with such beautiful writing too. Even just in reading her turns of phrase, I feel so inspired to expand my vocabulary. I look forward to getting my copy Kendra, to see what else she had to say regarding Vivien, Gone With The Wind and her memories of it! Me, too, Katie! She’s very classy and certainly has a way with words! How wonderful for you Kendra! It was so gracious for Olivia to answer your questions.I have my copy of your book on pre-order from Amazon, can’t wait for it to come out. Now, if I can figure out a way for you to sign it for me! Cheers! Very nice, Kendra, and a good “teaser” for your book! One wonders if sister Joan Fontaine would have responded to a request for an interview or a questionnaire. Joan was rather “catty” in her No Bed of Roses account of her apartment exchange with Vivien circa 1966. Joan-The-Devil’s-Own was none too kind in general in that book, so maybe she’d be ready to make amends now. Or maybe not. I remember Olivier sweetly referencing Olivia in his own questionable Confessions, though I don’t recall him saying anything much about her sister. Larry was rather mean to Joan during the filming of Rebecca, wasn’t he? Especially in his famous comment about her marriage to Brian Aherne. I wonder if the sisters dished about Larry and Vivien in those days before their ongoing feud officially commenced. If so, it’s clear that Olivia will never tell! It’s also interesting to note that Olivia stepped into My Cousin Rachel when Cukor and then Vivien dropped out, and that she also took Crawford’s role in Hush…Hush, Sweet Charlotte after Bette Davis vetoed Vivien as a possibility, according to director Robert Aldrich. 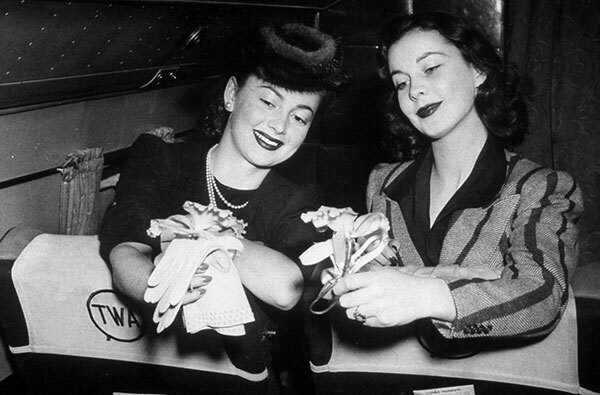 And, in more than a fair exchange, de Havilland supposedly turned down Blanche (thank goodness! ), clearing the way for Vivien. Interesting that two women who were/are such contrasts both in life and on the screen were sometimes competing for the same roles. Gavin Lambert’s book on Cukor also mentions a proposed movie version of Far from the Madding Crown, scripted by Aldous Huxley, first planned for Vivien and then possibly with Olivia. I’d definitely have voted for Vivien for that one! Oh well, To Each Her Own, and cheers to Miss de Havilland, in any case. That should be Madding CROWD (not Crown) above, of course – I hope it was a typo and not a senior moment, though I’m far from 97. 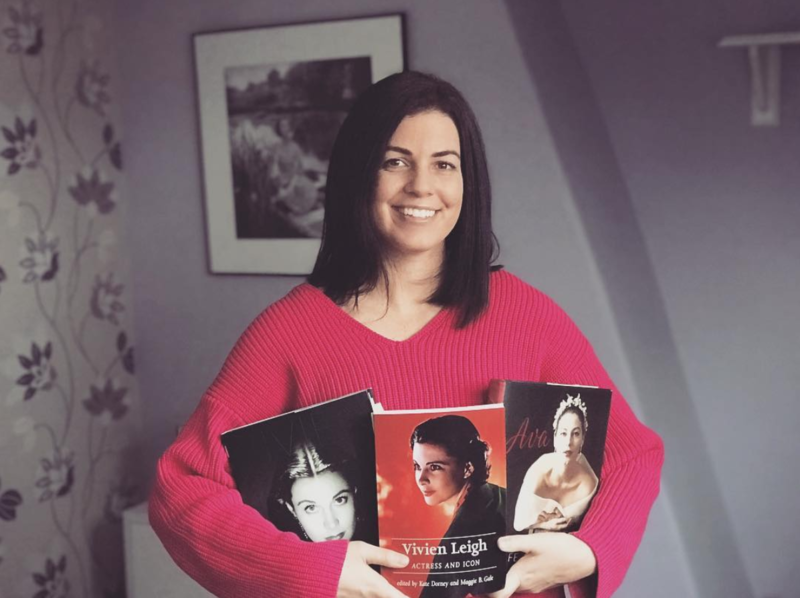 Noted as well in a David Shipman book that Elizabeth Taylor replaced Vivien in Elephant Walk only after Jean Simmons, Olivia de Havilland, and Katharine Hepburn said no. Not sure of his source there, but interesting, no? Thanks, Peter! Not sure about Joan. Because of the format of this book, I tired to focus on people who had a relatively decent amount of interaction with Vivien, rather than just basically knowing her by association. You’re right, I don’t think Larry was very kind to Joan while filming Rebecca, although, according to Charlotte Chandler, he wasn’t that keen on having Vivien in the film, either (unless that was an afterthought). I’m sure people gossiped about everyone back then, and perhaps if I had had the opportunity to speak with her in person Olivia may have opened up more. But we also have to remember that she’s 97 and although her mind seems really sharp, I would be a bit skeptical if she had written a whole essay about things that happened 70+ years ago. Vivien would have been amazing as any Thomas Hardy heroine. Wouldn’t you love to have seen the expression on Vivien’s face following that order, and the words that followed? Ha ha! It’s worth noting, though, that Selznick had an obsession about women’s make-up well before Ingrid’s arrival, and had a mini-battle, apparently, with Madeleine Carroll about her “look” for The Prisoner of Zenda. And, of course, there’s the sequence of Janet Gaynor being “remade” by Hollywood make-up artists in the original A Star Is Born, repeated in the Garland remake. For what it’s worth, I’ve always found the devilish Joan Fontaine more fun than her sister, even as I admit that Olivia had the more impressive career. Still, working with Hitchcock and Ophuls and Lang, romancing Harry Belafonte on screen, and co-starring with Orson Welles all make Joan a cinematic immortal to true scholars of film. And she always gave good interview – I’m old enough to remember her on the Merv Griffin Show, Tom Snyder’s Tomorrow Show and the like, and she’s a game participant in the tv special, The Selznick Years, narrated by Henry Fonda. Olivia, on the other hand, has that “great lady” quality in interviews and, good humored though she is, can seem overblown in a theatrical way and a bit condescending. I used to imitate her on The Mike Douglas Show, promoting The Swarm and explaining Irwin Allen’s explanation of why a particular scene was cut from the picture: “‘O-LIV-i-a,’ Irwin said to me, ‘it was simply TOO hor-RIF-ic! '” One must be grateful that Vivien never landed in The Swarm, or stumped the talk show circuit to promote it! Thanks, Renata. It’s really impossible to tell whether her opinion on Vivien changed over time. Notice that was the first question I asked, and then in the addendum at the end, she said that if she had known Vivien better later in her life, she might have had a different picture of her. However, I’ve never seen or read anything where she’s expressed a jealousy or negativity toward Vivien. She always spoke kindly about her and even said that she actually wanted to play Melanie in the film rather than Scarlett. She had her own successful career outside of GWTW. I can’t wait to read your book! I thought I was excited before, but after reading your questions here, I don’t think I could be anticipating it more. Thanks for sharing! This is so cool, I’m looking forward to your book, Kendra! Thank you for this! Gone with the wind is a very special film to me so to expand my awareness of how it impacted people is amazing !! You lucky lady Kendra, I only got as far as her sister, which is still a coup, but Olivia is the icing on the cake !!!! How did I miss this?!! 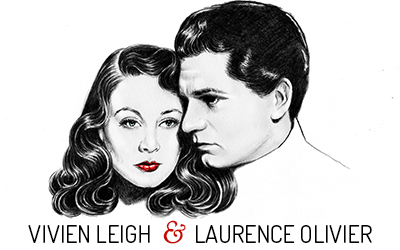 I found it by accident, actually in a Google search for “Vivien Leigh and Joan Fontaine”. !! Is there a way to edit my previous post? Upon re-reading your questions and her answers, I did not get the same impression at all of her acting the “movie star” even in a subtle way, really. It must’ve been colored by some things I read elsewhere recently about her feisty and to some extent queenly ways, ;) (Ann Rutherford and others had some interesting little anecdotes.!) Also, I think I’m a bit delirious with a low grade fever and cold medicines in my system!! :-/ Aaaarrrggh!!!! Thank you. I adore Olivia and also her sister Joan, and of course our dear Vivien. <3 And I really prefer to remain on the positive.